Scout Sunday Mass; the annual Scout Sunday Mass will be celebrated Sunday, February 2, 2014 at St. Basil's Chapel, Bridgewater. 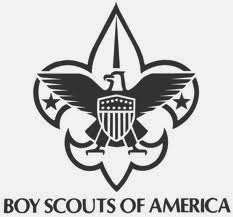 All current and former Boy Scouts & Girl Scouts are invited to participate. Please meet in the downstairs area of the Chapel no later than 9:30 a.m. in uniform.